Fast and efficient ways to share content: YouTube is the perfect example. A YouTube member can create a video and upload it to the site for others to watch in less than an hour. “Think of Web 1.0 as a library. You can use it as a source of information, but you can’t contribute to or change the information in any way. 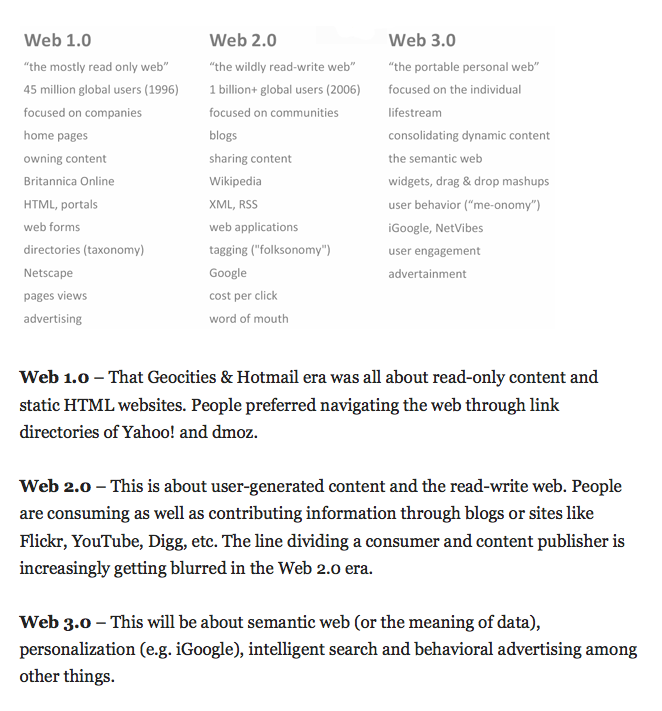 Web 2.0 is more like a big group of friends and acquaintances. You can still use it to receive information, but you also contribute to the conversation and make it a richer experience. Whilst the above is clearly a little dated it compliments the content below.